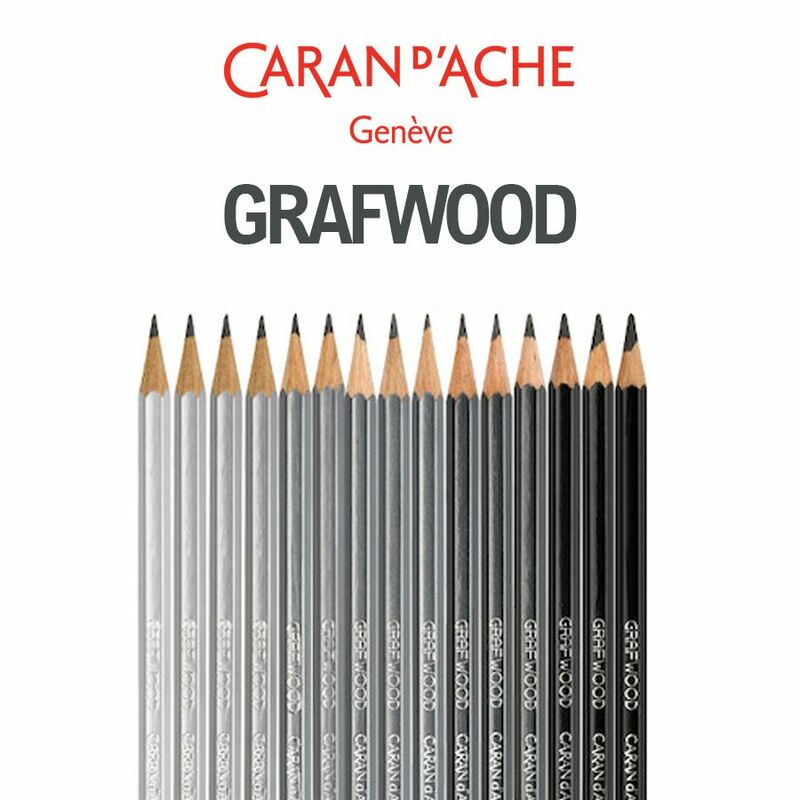 Caran d'ache Grafwood Graphite Pencils are considered to be some of the best artists' sketching pencils on the market. They are available in 15 different graduations from 4H to 9B.Use these pencils to explore tone with the wide ranges of black & greys available. With each 'B' graduation, the tone will get closer to the darkest shade of black. The 9B Grafwood Pencil is the softest and darkest. Grafwood Pencils will produce extreme contrasts in sketches & drawings. The 'H' range is lighter and the higher the number, the lighter and harder the pencil and tone. The wooden encasing of these pencils are different shades of black to grey so that the grade of the pencil can be identified quickly & easily.